Self-taught daredevils in the blockaded Gaza Strip are embracing a range of extreme sports, from the outdoor urban gymnastics known as parkour to motocross racing on sand dunes. Recreational opportunities are limited by an Israeli and Egyptian blockade imposed when the militant Hamas group seized power in 2007. Without formal training, sponsorships or proper equipment, young Palestinians learn about the sports from movies, social media and YouTube. 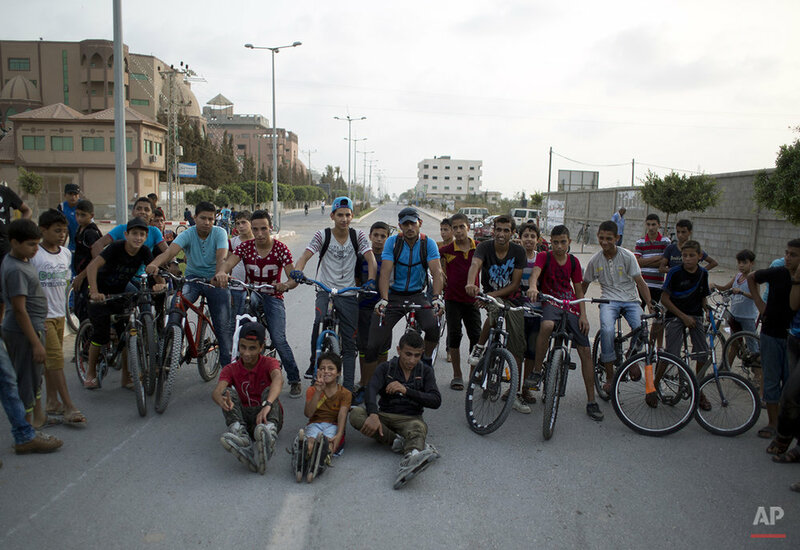 In Gaza City, young people treat onlookers to an array of stunts involving BMX bikes, roller-blades and the acrobatics of parkour, which incorporates elements of gymnastics, martial arts and rock-climbing, transforming ordinary urban landscapes into obstacle courses. "We have to play parkour to prove to the outside world that we have energy and can perform the most difficult thing," said Fahed Daoud, who practices the sport with friends every Friday. On rolling sand dunes outside Gaza City near a former Israeli settlement, men race on motorcycles, four-wheel ATVs and BMX bikes, while on Gaza's beachfront, Bakr al-Maqadma and his friends swing from rusty poles, striking gravity-defying positions like the "human flag." "We would like to take part in international contests for this sport and spread it in Palestinian society," said al-Maqadma, who formed the "Bar Palestine" team with three other friends. Travel in and out of Gaza is heavily restricted. Israel insists the restrictions are needed to prevent Hamas from rearming after three devastating wars, while critics say they amount to collective punishment. Egypt rarely opens its border with Gaza, and over the past two years has destroyed hundreds of tunnels that once served as a lifeline for the impoverished territory. Here is a series of photos by Associated Press photojournalist Khalil Hamra. Text from the AP news story, AP PHOTOS: Gazans Embrace Extreme Sports Despite Isolation, by Khalil Hamra and Fares Akram.